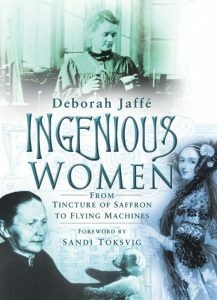 Since the publication of Ingenious Women in 2003, there has been great interest in women and their achievements as innovators. Deborah continues to update her original research of those women living between 1637 and 1914, as well as looking at more recent examples. These include women who have patented their inventions, registered designs, started companies or who, as widows, have successfully taken over their deceased husbands’ works. All are evaluated within the context of the economic, social and technological frameworks of the times in which they lived. The research continues in collaboration with Stephen van Dulken, see Stephen’s Patent Blog here and the Ingenious Women blog for further writings. Ingenious Women has been translated into German and Polish. Deborah regularly comments on the history of women in engineering and technology and the relevance today. Recently, she spoke on Today BBC Radio 4, about the innovative Sarah Guppy in the context of a married woman in the first part of the 19th century. She emphasised the need to be factually correct when working with historical contexts. 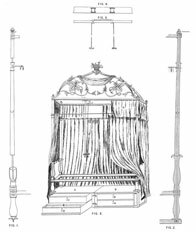 Sarah Guppy registered four patents including a four poster bed with an exercise bar within it. The Victorians had a penchant for exercise and invented numerous gymnasium type pieces of apparatus. 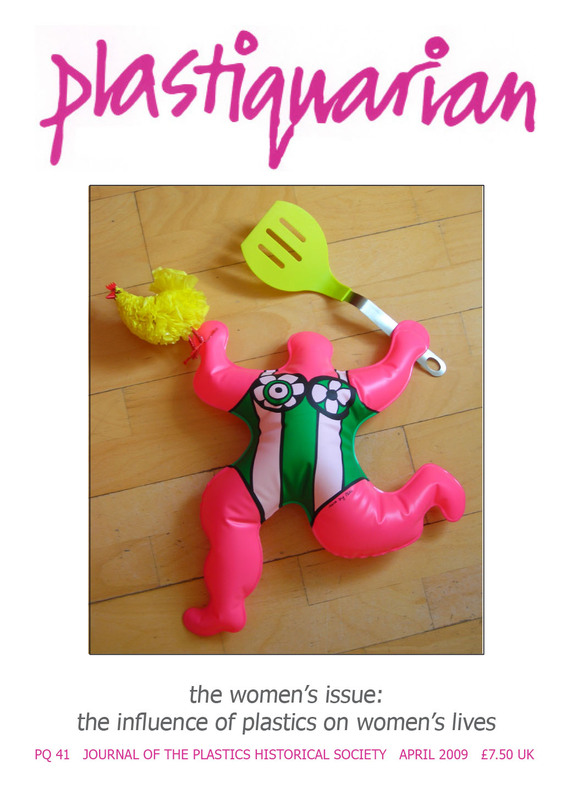 Sarah Guppy was no different. 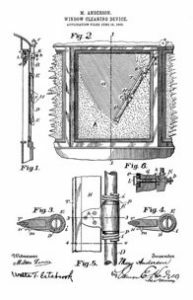 Mary Anderson’s patent diagram for the windscreen wiper she invented in 1903. In July 2011, the paper Innovating Women: Illuminating Achievement and Success, which Deborah co-authored with Professor Pooran Wynarczyk (Business School, University of Newcastle upon Tyne), was presented at the Triple Helix IX International Conference, Stanford University, USA. Deborah’s paper Utopia – Clara Louisa Wells was presented at the Alternative Worlds Series at the IGRS, University of London, in May 2011. Clara Louisa Wells is one of her Ingenious Women who spent over 40 years travelling across Europe devising schemes and petitioning governments in her hope of improving society. In May 2014, she gave a paper on Women and Patents at the Women in Science Research Network Conference: Revealing Lives, at The Royal Society, London. Deborah features in the article Engineering’s most ingenious women, by Christine Evans-Pughe, published in E&T – Engineering and Technology Magazine, 16 May 2011. Click here to view it. 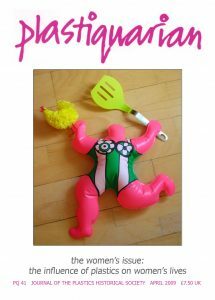 In 2009 Deborah and Sylvia Katz jointly edited an edition of Plastiquarian which looked at how plastics have influenced women’s lives both as innovators and consumers.